Locally owned bakery will offer fresh whole grain breads, goodies, and made-to-order sandwiches, salads and grain bowls. 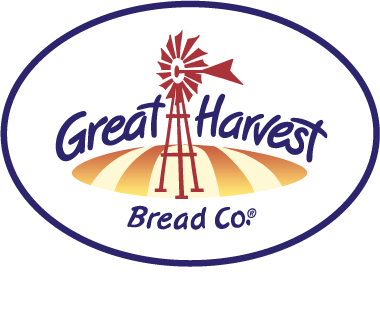 Lake Charles, La., July 13, 2016 – Local owners Michael and Shelly Migues have signed a lease to bring a new Great Harvest Bread Company bakery/cafe to Lake Charles later this year. The new bakery/cafe will be located at 4212 Lake St., Suite 100. It will offer local residents a great location with freshly made sandwiches and a hot spot for daily baked breads and goodies. Outdoor seating beside the bayou, beneath Oak and Cypress trees will become a popular lunch spot. Dillon, Mont., July 11, 2016 – Great Harvest Bread Co. will host a special Bake Day event July 20-22 to “raise dough” for the Beaverhead County Museum Association. This annual bake day event is a win for everybody since the 25 E. Glendale St. bakery opens with fresh bread, sandwiches, and goodies prepared by the Dillon baking team while supporting area nonprofit organizations. Colorado Springs, Colo., July 11, 2016 – The Colorado Springs Great Harvest Bread Co. bakery is celebrating Christmas in July with Christmas decorations, holiday products and music, and prize giveaways including gift baskets and free bread during the special July 22 and 23 event. Customers are encouraged to bring toys or treats to the bakery for donation to the Humane Society of the Pikes and Peaks Region (HSPPR). As a thank you, Great Harvest will offer customers with goodies in tow a free loaf of whole grain bread. Fort Collins, Colo., July 11, 2016 – The Fort Collins Great Harvest Bread Co. bakeries are celebrating Christmas in July with Christmas decorations, holiday products and music, and prize giveaways including gift baskets and free bread during the special July 28 and 29 event. Customers are encouraged to bring canned or boxed food to the bakery for donation to the Larimer County Food Bank. As a thank you for customers that bring in three items for donation, Great Harvest will offer customers a free loaf of Honey Whole Wheat bread. Prairie Village, Kansas, June 14, 2016 – Great Harvest Bread Co. is baking up something special for the summer that will have everyone's mouth watering. The Prairie Village bakery is adding loads of fruit to many of its breads this summer. Expect to see lots of red and blue colors on the shelves representing rich summer fruit flavors while also celebrating Independence Day. Lihue, Hawaii, April 13, 2016 – Local owner Christine Camara has signed a lease to bring a new Great Harvest Bread Company bakery to Lihue later this year. The new bakery will be located at 4303 Nawiliwili Rd., Space 107 A, near Payless Shoe Source and Pier One. It will offer local residents a great lunch location with freshly made sandwiches and a hot spot for daily baked breads and goodies. Dillon, Mont., April 8, 2015 – Great Harvest Bread Company, now serving Owensboro from two locations -the original location at 3211 Frederica St and their new Café at 4431 Springhill Drive (out Hwy 54)., won the prestigious “Phenomenal Bread Award” during the company’s recent annual convention in New Orleans, Louisiana. The bakery was one of five bakeries around the country chosen to win the award. The Owensboro bakery also brought home this prestigious award in 2001, 2007, 2012 and 2013. Dillon, Mont., March 7, 2016 – Great Harvest Bread Co. will open their doors March 23 through 25 in support of the Beaverhead County Senior Citizens Association, which is raising funds for a new roof for its building. Recent inspections have uncovered weeds growing on the roof and repairs are needed on the duct work. Tempe, Ariz., Feb. 18, 2016 – Tempe's Great Harvest Bread Co. is baking up something special for St. Patrick’s Day – fresh, warm, made-from-scratch Irish Soda Bread and Guinness & Gouda Bread. Irish Soda Bread will be available from the beginning of March through St. Patrick’s Day while Guinness & Gouda will be offered each Friday, beginning Feb. 26, through St. Patrick’s Day. Jacksonville, Fla., Jan. 4, 2016 – Local owner Lorenda Tiscornia is putting the final touches on her new Great Harvest Bread Company bakery, which is set to open in Jacksonville on Jan. 15. The new bakery will be located at 11526 Lake Mead Ave., just off of Baymeadows and Gate Parkway near Atlantic Coast High School and in front of the new Mayo Clinic by I-295. It will offer local residents a great lunch location with freshly made sandwiches and a hot spot for daily baked breads and goodies.